More than one business must potentially benefit from the facilities to be funded. For-profit manufacturing, processing and assembly companies that will have wages above the county average and provide medical benefits are prioritized. The least amount needed for the project to occur. Capital Investment: A minimum of one dollar of capital investment must be pledged for every dollar of grant funds requested. 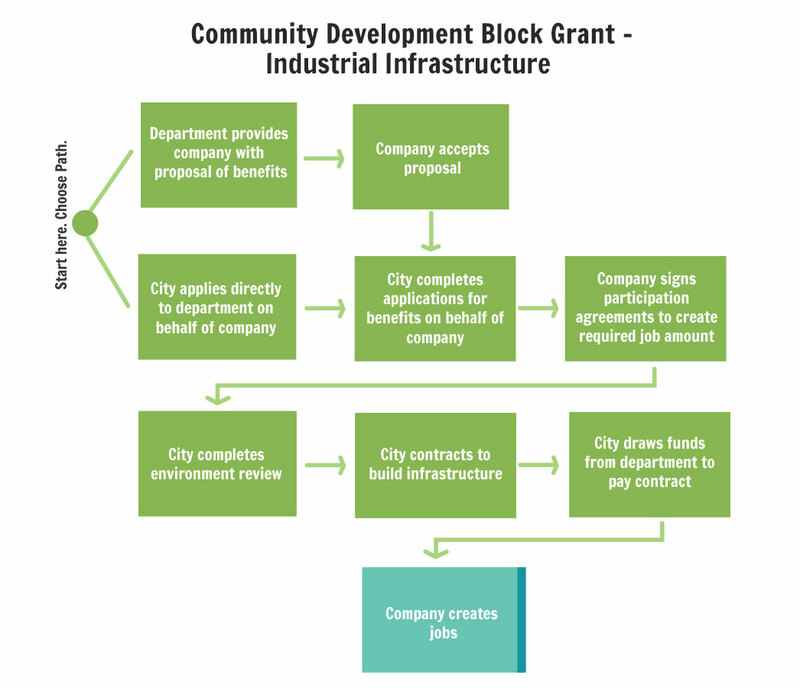 Grant funds may be used for public streets, water or sewer lines, engineering and other public facilities necessary to support the project. A public entity must own the facilities to be funded. Facilities owned by the company are not eligible for funding. Applications are reviewed on a case-by-case basis, subject to fund availability. The local government applicant must provide as much unrestricted resources (cash, in-kind resources) as they have available. LMI Employees: At least 51% of the new jobs to be created must be filled by persons considered “low to moderate income” (LMI). Prevailing Wage Requirement: Because grant proceeds are used for the construction of public works, prevailing wages must be paid to the employees of the contractors.